The Eternal Weight of Glory Awaits. We all experience hardships, failures, relationship difficulties, illnesses, and suffering at different points in our lives - even when we have Jesus as our Lord. Some trials are light and easy, but some are long and very difficult. They go away for a time, but then another ordeal comes our way. It seems as if life is a series of challenges with some respite in between, and at times they feel like they are all happening at the same time – they can feel overwhelming! 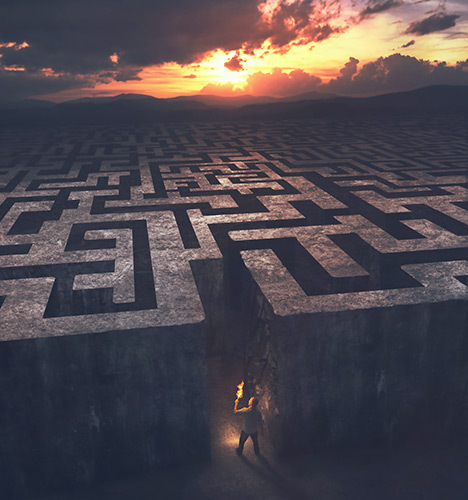 But the good thing about it is that as Christians, there is a reason why we persevere with such a tumultuous challenging life – one day, all of them will go away. One day, we will say, it’s worth it. He will wipe away every tear from their eyes, and death shall be no more, neither shall there be mourning, nor crying, nor pain anymore, for the former things have passed away. (Revelation 21:4) That is great news! Paul says that our current afflictions now is preparing for us an eternal weight of glory that awaits us. And that weight of glory would be incomparable to the worst things in life now. What is some temporary suffering for 70 years or so compared to billions of years of true joy and fulfilment for eternity? Can you start feeling the weight of glory? So How Do We Await the Weight of Glory Due to Us As We Persevere in Life? Even in your most challenging situations, keep in mind that all trials are temporary. Prolonged disease or relational difficulties can at times feel forever, but they will end. Winners do not quit when life is hard. Have a balanced view of life. Have an eternal perspective with what is happening to you all the time. Know and be confident that God is with you at all times, and He will never leave you, even if at moments it may feel like that. And we know that for those who love God all things work together for good, for those who are called according to his purpose. (Romans 8:28) Never give up trusting and hoping in God – let Him be your true anchor! Know that God is forming you into His image and likeness, and He uses trials as a way for you to smoothen up your rough edges in your character. Anticipate that challenges will come your way. Rejoice in the midst of trials. James 1 [see text below] encourages us to count trials as something you can have joy even as you encounter it. No one likes tests, but after the ordeal, you are better off as long as you learn from it. Store riches on heaven, not on earth. Do not lay up for yourselves treasures on earth, where moth and rust destroy and where thieves break in and steal, but lay up for yourselves treasures in heaven, where neither moth nor rust destroys and where thieves do not break in and steal. (Matthew 6:19-20) Do not tire doing good to all, for in due time, your work will bear fruit – either here on earth or in heaven. See Galatians 6:9-10. Everyone you meet and encounter in this life – your neighbours, friends, officemates, and schoolmates - can potentially have that weight of glory, too. Each person has an eternal destiny; do your best to influence them so that they would one day share God’s presence with you. Share the Gospel in season and out. Anticipate heaven. Dream of it; think of it; meditate on it. Know that everything you do and accomplish in life is passing. Your life in God will be the only thing left in the end. Put your ultimate hope and trust in God, who will welcome you with open arms when we finish our race; then we will experience the weight of glory! Other Bible verses: Romans 5:3-5; 1 Corinthians 2:9; Philippians 3:20; and 1 Peter 5:10. How focused are you on the hope you have in Christ? How often do you think of your eternal life in God? How does that put into perspective your daily trials and sufferings? 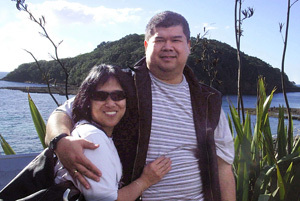 Tom Caballes is the National Senior Administrator and a National Coordinator of the Lamb of God, a community of the Sword of the Spirit with 7 branches located throughout New Zealand. Tom also leads Kairos New Zealand, an outreach program for high school, university, and post-university aged people. Tom and his wife Mhel and their two daughters live in Wellington, New Zealand.